Over the last two weeks at school, we have been looking at Fairtrade and how it affects others. This links to the 17 Global Goals that we look at throughout the year at school. Do you know what Fairtrade is? Do you buy any Fairtrade products? We started off by looking at the symbol in the classroom and tried to remember if we had seen it on any products that we use at home or at school. Have you seen this symbol before? Then we looked at what Fairtrade actually means. Trade between companies in developed countries and producers in developing countries in which fair prices are paid to the producers. We learnt that farmers who produce food in other countries such as Africa for us to eat across the world is given a fair price for the ropes that they grow. Some farmers struggle to feed their families, buy medicine for their families when they are ill or can’t even send their children to school. This made us feel very sad that everyone doesn’t have the same opportunities as we do and aren’t as lucky as we are. We wanted to help support the farmers that produce Fairtrade products so we used the iPads to research what products we could buy that were Fairtrade. These were tea, coffee, cotton, coconuts, fruit like bananas and oranges, sugar and chocolate. Next you go shopping – see if you can spot the Fairtrade symbol on any of the products you buy. As a special treat, Miss Varley threw us a Fairtrade Tea Party and it was brilliant! We drank Fairtrade tea and ate Fairtrade chocolate biscuits, Fairtrade dried pineapple and dried mango and Fairtrade bananas. Yoga is a good way to exercise both our minds and our bodies. Check out our yoga moves! If you want to do move yoga at home, look at Comsic Kids on Youtube for more ideas. We absolutely loved our Active Mission Session with Errol. It was so much fun trying to get around all of the different activities. Our favourite activity was trying to hit as many lights as we could in just one minute! The record was 32 set by Mateo! We got to use exercise bikes with smoothie makers on the front to make some delicious smoothies. We had to pedal as fast as we could to blend up the fruit and the yoghurt before we were able to drink them. They were really tasty and it was fun working together to making different smoothies! Mrs Murch spent some time with us looking at PANTS. Ask your child about what PANTS means. If you would like more information about the NSPCC campaign for PANTS, please click here. In Pearl class, we have been learning about Fairtrade. 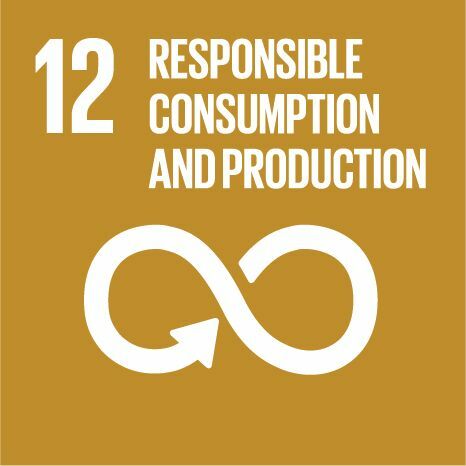 This is something that everyone in school has been looking at and links to the 17 Global Goals for Sustainable Development as set out by the United Nations. People and countries sell things to each other and farmers sell the crops that they grow. Soemtimes trade isn’t always fair. Big companies and rich countries buy a lot of crops from poor countries but they don’t always want ot pay a fair price for the goods. Fairtrade buyers want to make things better for farmers and they agree to pay farmers a fair price for their crops. Then we looked asked, how does Fairtrade work? Fairtrade farmers know that they will get a good price for their goods. These farmers can make plans for their farms, spending money to make them better and safer. These farmers must also agree to pay their workers a fair price. Fairtrade buyers pay extra money too, called a premium. This money could then be spent on building a new school, health centre or bridge over a river. If you see this symbol on products, then you know that it is Fairtrade. Can you find this mark on anything in your house? Where do Fairtrade products come from? Fairtrade products come from countries all over the world. Bananas are grown in tropical regions. Cocoa to make chocolate with comes from countries such as the Ivory Coast in Africa. Tea and coffee also comes from hot places. Fairtrade flowers grow well in Kneya’s sunny climate. Mines in South America supply glittering Fairtrade gold. Pearl class decided that they wanted to finish the work that they had been completing on Fairtrade, by having a Fairtrade Tea Party. They decided what they wanted at the tea party and then sent Miss Varley on a little shopping trip. Here is what she was able to get. It was so lovely to complete our learning on Fairtrade with a chance to all sit down together and eat and drink some delicious foods. Cheers! This year we celebrated Wear it Wild Day again in association with WWF. We raised money to help endangered animals all across the globe. We came to school dressed as our favourite wild animals. Some of us didn’t know what endangered meant so we used the WWF website to help us and we learnt about some animals. Endangered means when a species of animal is at serious risk of being made extinct. Did you know that these animals were endangered? We also linked this to the work that we continue throughout school linked to the 17 Global Goals. Click here to read our post about The World’s Largest Lesson and a little bit more on what the Global Goals are. We learnt that the work we have done link to the Global Goals 14 and 15. We researched using fact sheets about these endangered animals to help us to learn more and then create posters to make people aware of the dangers these animals face. Akram – We need to look after these animals before they are gone forever. Alfie – We don’t want them to go the same way as the dinosaurs! Oliver – Animals find it difficult in nature to survive if they haven’t got enough food or water or shelter. Dannilou – Our money will help lots of animals forever! Thank you to all of the parents and carers who donated money to this worthy cause. The children in Pearl class loved coming to school dressed as their favourite animal. Did you know that there were 17 Global Goals in total? We watched a short video that helped us to explain what the World’s Largest Lesson was about. Click here if you would like to watch this video again. This year’s focus is on food, sustainability and hunger. We watched a video that helped us to understand the focus this year. Click here if you would like to watch the video again and remind yourself of what the video was about. We then set to work on deciding what our favourite foods were and looked at where they came from, how they got to our plate and what they were packaged in. Before the holidays, we were learning about how to look after the environment and in particular, our school environment. In Pearl class, we used the secret garden to investigate if it would be a suitable habitat for birds to make their nests with and found lots of litter that we needed to remove. In Ruby class, we used the PlayPod to sort big materials into the correct categories. In Jet class, we learnt about recycling and sorted materials into ones that can be reused and those that can’t before decorating our recycling bin. In Topaz class, we made bird feeders that we are going to put up in the secret garden to encourage birds to come and visit, maybe even nest! Look at what you throw away at home – can any of it be recycled? Pick up any litter that you see on the ground and put it in the bin. Click here to help Barnaby Bear to sort materials into the right categories. Click here for more help and advice to learn how to recycle. This week, the whole school has been busy learning about Global Citizenship. KS1 decided that they looked at the theme of Poverty and Hunger. These are just 2 of the 17 global goals. Click here if you would like to find out more information. In Pearl class, we didn’t really know what poverty was so we explored this a little bit further. We looked at what might cause people to live in poverty and then thought about some solutions that we could use to prevent people from being in poverty. This happens in the UK and well as around the world. We had some really thoughtful ideas and tried hard to think of sustainable solutions! We also had a day where we moved around the different classes in KS1. With Miss Duddle, we learnt about our basic needs. With Miss Mason, we learnt about the uneven distribution of food around the world. With Miss Breeze, we learnt about where food comes from. And with Miss Varley and Miss Deighton, we learnt about how poverty affects people’s lives and how to prevent it.